As part of the Tumbleweeds Film Festival, kids can take part in free, hands-on, creative filmmaking activities on Library Square at the Tumbleweeds Clubhouse. Kids and youth will find interactive set-pieces, robots and automatons, virtual reality games, drone piloting displays, filmmaking activities, specialty photobooths, and a participatory art installation that will be showcased throughout the festival. The Tumbleweeds Clubhouse is free and will be hosted in the Library's Urban Room and Leonardo Museum, 10am–5pm on Saturday, March 2 and Sunday, March 3. 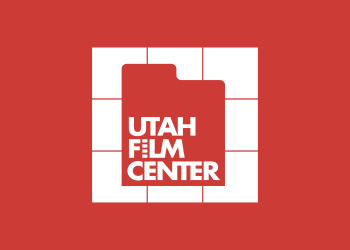 Founded in 2011, Utah Film Center’s Tumbleweeds Film Festival is an annual film festival for children and youth, ages 4 and up, providing opportunities for film lovers of all ages The 2019 edition will take place March 1-3 at Library Square in downtown Salt Lake City. Passes will go on sale at the end of November with individual film and workshop tickets on sale mid-January. In addition to the ticketed films throughout the weekend, highlights from last year's festival are screening for free in the Library auditorium on Friday, March 1. Join us for Louis and Luca and the Big Cheese Race at 10am and our 2018 opening night film Into the Who Knows at 1pm.